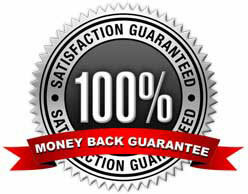 All of our items come with a 100% money back guarantee. If for any reason you are not satisfied with any part of your order, send it back for a refund or exchange (shipping is not refundable). Returns and exchanges are allowed for any item returned to us in resalable condition within 60 days of purchase. There is a 10% restocking fee after 45 days. Package the item(s) for return and enclose the completed return/exchange form that can be printed from the link at the bottom of this page. If you are unable to print the form please include a brief note stating the reason for your return/exchange and any additional instructions or comments. Return shipments for exchanges will be shipped from our distribution center after original merchandise has been received and inspected. Refunds will be issued to the credit card used for original purchase. Returns and exchanges for defective merchandise will be handled on a case-by-case basis by warehouse staff.